The Dundee-Happy Hollow Historic District is located west of Midtown Omaha, Nebraska. Homes, condos, and apartments in the Dundee-Happy Hollow area are within the boundaries between Leavenworth Street on the south, Hamilton Street on the north, Happy Hollow Boulevard on the west, and 46th Street on the east. The heart of Dundee is located at 50th and Underwood Avenue in Omaha, Nebraska. It was founded in 1880 and annexed into the city in 1915. Dundee is home to Warren Buffett and nationally syndicated editorial cartoonist Jeff Koterba, and is also the birthplace of Academy Award winning filmmaker Alexander Payne. Find the perfect home, condo, or apartment in Dundee-Happy Hollow today! Pitch Pizzeria is a Dundee favorite as well as a Top 100 Spot in the US! eCreamery was seen on Shark Tank, The Huffington Post, and Oprah Magazine! Finish up at Dundee Dell for one of over 758 single malt scotches they have on-site. Other food favorites include Goldbergs, Marks Bistro, and Amsterdam Falafel and Kobob. 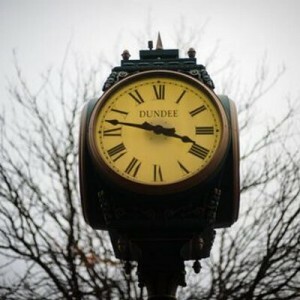 There is something for everyone in Dundee! 111 N 54th Street Happy Hollow 4 Bedroom For Sale. This beautiful Happy Hollow home located in the historic Dundee neighborhood will capture your imagination with this move-in right-away option. You will find appointed details through-out with crown molding, hardwood floors, and a Chef’s Kitchen as well as many other rooms to enjoy for work, play, or witty conversation! This home can be yours today!